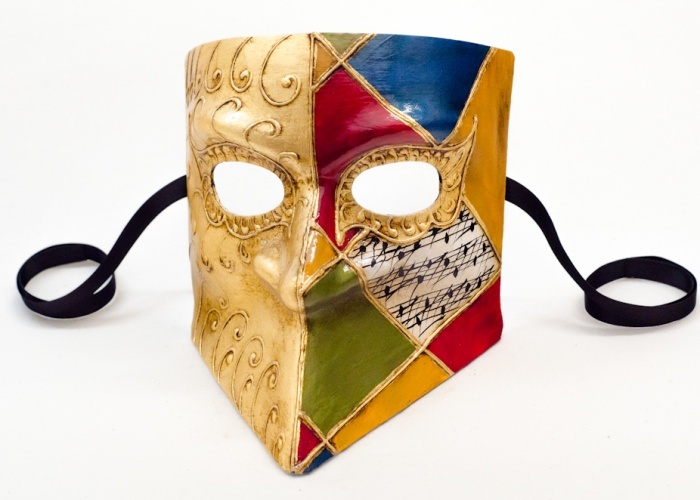 An alternate version of the classic Venetian bauta mask. Half of the mask is decorated with curving stucco reliefs covered by gold leaf foil. The other half is painted with large colored rhombuses and a painted music score.